How Much Engagement Ring Can He Really Afford? How Much Engagement Ring Can He (or You) Really Afford? For many young couples, there is a certain amount of financial and emotional stress that comes with Valentine’s Day. Among women who are dating, the message they get from family, friends and others is that Valentine’s Day is the time to know if your guy is really into you. So “the ring” is definitely being thought about right now — by men and women alike. And not just any old ring. It’s got to be a ring that a woman would be proud to wear and “show off” to anyone who cares to look. While we don’t know exactly how many ring boxes will pop open after a Valentine’s Day proposal, it is a safe idea to assume that most of those boxes had better contain diamonds, and big ones at that. Real or imagined, the pressure to buy as much ring as he can (or cannot) possibly afford will confront any man who is contemplating Valentine’s Day proposal ideas. Is one carat respectable? That depends. 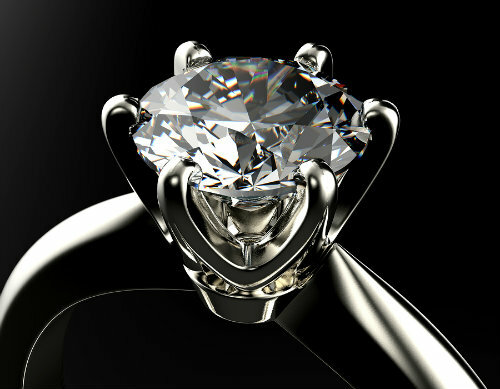 Some women consider two carats a “starter” ring. Will a three-carat rock do the trick and rock her world? Again, it depends. How many carats did her girlfriends or co-workers get when they were engaged? All these thoughts and questions loom large for men contemplating a Valentine’s Day proposal. If a man has taken f-o-r-e-v-e-r to pop the question, the guilt alone may lead him to give his woman a huge “I’m sorry” Kobe-style ring. Or what about guys who currently have kids with their significant others. Those guys are thinking: Should I give a half carat -– or a full carat -– for each child that’s already here? Well, here’s a reality check for you ladies in waiting: The financial stress of getting that big rock works both ways — impacting both of you equally and lingering with you both over the long haul. So stop wondering, for a moment, whether your man will follow tradition and surprise you with a ring, or whether he’ll simply take you shopping and let you pick a modest, affordable ring that you should “say” you like versus the big, blinging ring you really do want. Instead, consider this cold, hard truth: No matter what ring you receive as a token of his devotion to you for all eternity this Valentine’s Day, it is a ring that you both will live with hopefully forever, along with whatever bill or debt that your fiance’ goes into to pay for the ring. If your guy is already broke or in debt, what will it do to your future finances to have him pick out a ring that costs a few thousand dollars? What will it mean for your marriage? Are money arguments likely to emerge because you two are cash-strapped? Let’s say he goes all out, and spends the recommended two months’ salary on your ring. Is he paying cash? Probably not. More than likely, he’ll drop a shiny Visa or MasterCard on the counter. Actually, it’ll probably be a well-worn credit card. Maybe it doesn’t matter to you. But it should. Just like it should matter to you that two years after your honeymoon to Hawaii, the Caribbean or wherever you jaunt off to, he’s still making minimum monthly payments on that credit card. For those of you saying: “Well, he can afford it.” Maybe that’s true. But the question is: can you afford it? Remember that cute little saying, “What’s mine is yours and what’s yours is mine”? Well, that’s exactly what the bank is going to say while they determine your interest rate on your home, car loan, or practically anything else nowadays when they pull both of your credit reports and credit scores after you are married. As you and your new hubby scurry to pay off that credit card debt, you will probably have long forgotten about all of the interest charges that were heaped on top of the cost of that ring, adding to its true cost over time. Ladies, I am not suggesting that you guide your man into thinking that it is okay not to give you a ring or that you really don’t care if you need a magnifying glass to see the stone or that cubic zirconium or Swarovski Crystal is okay. But just know that how you and your fiance think about and manage your finances now will set the foundation for how those finances will be handled in the future. Overspending now portends overspending in the future. Going into debt now will likely mean more debt in the future. And that includes racking up debt for the engagement ring you’re dying to get. When I got married back in 2007, my husband Earl wanted to buy me a big diamond ring from a local jewelry store. I said “thanks, but no thanks.” Instead, I let him buy a very modest band with small diamonds to go around an absolutely beautiful family heirloom Earl had. That family heirloom was — and is — a gorgeous diamond ring. To be frank, I recall getting it insured. But I couldn’t for the life of me, tell you what size the ring is: Is it half a carat, one carat, two carats? I honestly do not know. What I do know is that every time I look at it, I feel so blessed and grateful for my wonderful husband — and so happy that he didn’t waste a small fortune on a ring that wouldn’t have mattered as much to me as the one I now proudly wear. Just a little food for thought. 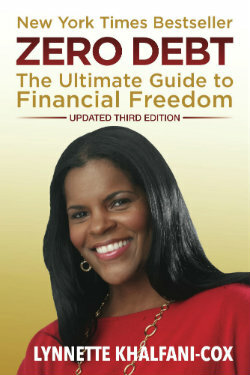 Enjoy your Valentine’s Day, and your potential proposal, taking these financial ideas to heart!